I've been lusting after this coat for months. 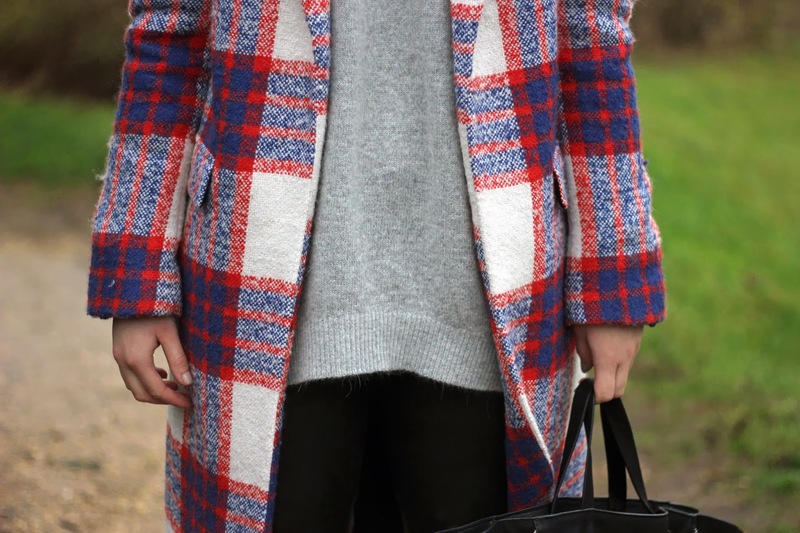 The combination of red and blue plaid against a cream base is so Stella/Céline-esque and I couldn't wait to pair it with some dark leather and a soft knit. 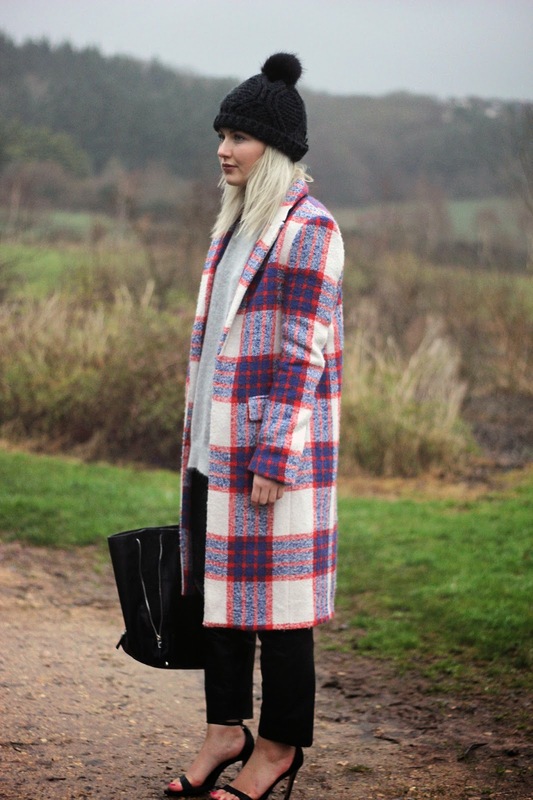 This coat looks gorgeous on you hun: stunning!